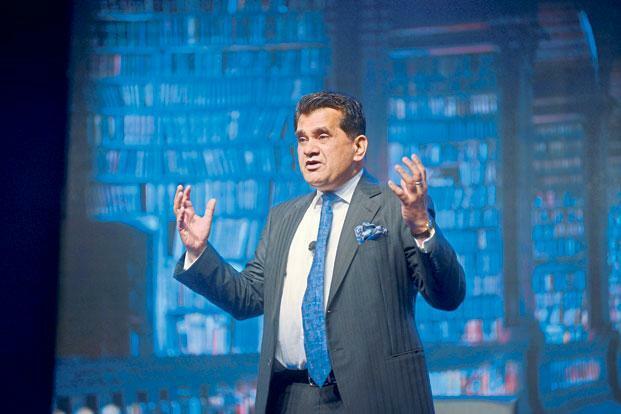 Chief Executive Officer of Niti Aayog Amitabh Kant said just 1% of India's more than 1.25 billion population pays Income Tax and the country cannot afford as high as 95% of its economy making cash transactions. Addressing a workshop on Cashless Transaction organised by the National Disaster Response Force (NDRF), Kant said India cannot afford as high as 95% of its economy making cash transactions if the economy has to be taken from $2 trillion to $10 trillion by the year 2030. "Besides, only 1% of the more than 1.25 billion population pays Income Tax," he said. Kant said there are more than a billion mobile phone subscribers in India and more than one billion Aadhaar biometrics have been created so far, according to an official release. He said with an aim to push India among the top economies of the world, the government has enrolled nearly 26 crore people under the Pradhan Mantri Jan-Dhan Yojana (PMJDY) and more than 20 crore RuPay cards issued. The time is here to make a transition to cashless transactions, he said. Addressing the function, Minister of State for Home Kiren Rijiju asked NDRF personnel to adopt cashless transactions and utilise their vast reach across all corners of the country to spread the message of digital payments. Rijiju said the Central Armed Police Forces (CAPFs) and state police forces personnel must take the lead as the nation is poised to join the leading economies of the world.